The Northwood Garden Club adopted the Northwood School for a project over the past several weeks. The club members along with several Northwood School students and Coe Brown Students refreshed the garden areas at the front of Northwood School. 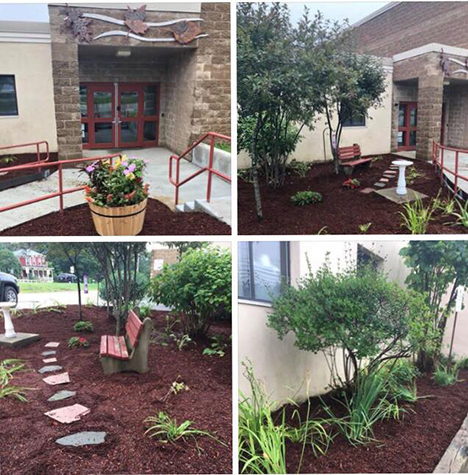 DL Docko generously donated mulch and stone and Cavaretta Gardens donated flowers and advice to complete the project. Many hours and a lot of hard work went into making the front of the school more welcoming and beautiful for the upcoming school year. The Northwood Garden club meets every third Friday at 6:30 each month at the Community Center on Main St. in Northwood. All are welcome.